Below you will find some useful links for associations, shows, publications, registered hunts, racing, film and video and photographers affiliated with the IMFHA and hunting in general. Please click on the names/titles below to visit their websites. An organisation dedicated to being an effective voice of Rural Ireland, providing better information, services, support along with unbeatable offers to everybody who resides, works or simply wants to enjoy the many delights on offer in Rural Ireland. b. To encourage the breeding of the pure bred hunting beagle in Ireland. c. To co-operate with the other codes of Field Sports in the interests of all Field Sports. The Association of Masters of Harriers and Beagles (AMHB) represent 22 packs of Harriers and 62 packs of Beagles that hunt in the UK and 4 packs of beagles that hunt overseas. 7 million hunters for conservation in Europe. Founded in September 1977, FACE is a non-profit-making, non-governmental, international association with its Headquarters in Brussels (Belgium). Through its 35 members, the national hunters' associations of the Member States of the European Union and other Council of Europe countries, FACE represents the interests of some 7 million European hunters. Pour la défense et l'encouragement de la chasse. The Countryside Alliance promotes the interests of rural people, including all field sports (hunting, shooting, fishing, falconry, ferreting, coursing, stalking etc), sensible wildlife management, and wider countryside concerns such as jobs, landscapes and freedoms. It represents these interests in the media, in Parliament, in schools and throughout the UK. The famous horse show taking place in Dublin each August. Takes place in July at the East of England showgrounds. Showjumping Ireland is The National Governing Body for the Sport of Showjumping in Ireland. The Turf Club (and INHSC) is the Regulatory Body for horseracing in Ireland. Founded in 1790 The Turf Club incorporates the Irish National Hunt Steeplechase Committee (INHSC) and is thus responsible for both flat and national hunt racing in Ireland. Through the INHSC the Turf Club is also responsible for Point to Point racing. Like the IMFHA, since its foundation it has always been an All Ireland body. A comprehensive web site covering all aspects of point-to-pointing in Ireland. The Club House Hotel, an inn since the 1790s owes its name to the fact that for almost a century it was the headquarters of the Kilkenny Hunt Club, whose explioits in the pursuit of foxes were rivalled only by the boisteriousness of their evening dinners in the hotel. Simon Morris, who was manager in the hotel, in the 1860's, recalled one evening during which John Courtnay of Ballyellis, Co. Cork rode his horse up the stairs and jumped over a screen in the dining room. The Last Hunt is a seventy-five minute documentary film about the Ryan family of Ireland. 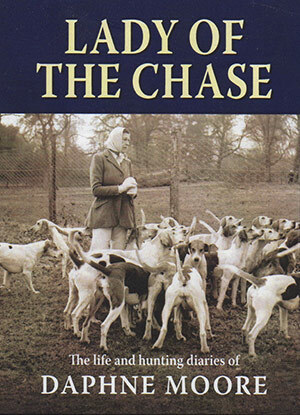 Focused around the fascinating figure of Thaddeus F. Ryan, who for forty years acted as Master of the legendary and world renown Scarteen Hunt. A collection of hunting photographs from the lens of Irish Field photographer Catherine Power was launched on the 26th of November. Running to 200 pages and covering well over twenty packs ranging from Scarteen, Duhallow, The Blazers all the way to the Ward Union it takes readers on a pictorial hunting tour. Stanislaus Lynch, who passed away in the 1980's, was the best known Irish writer of the Chase and received many Literary Awards. His books are in collections in many parts of the hunting world and some are still available. Rhymes of an Irish Huntsman - Echoes of the Irish Hunting Horn - Hoof-prints on Parchment - From Foal to Tally-Ho - Hounds are Running - A Hunting-Man's Rambles. 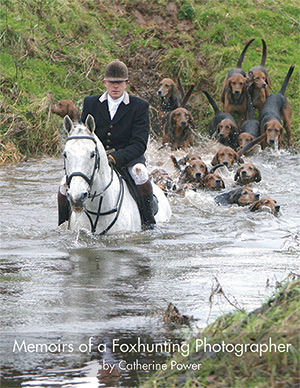 The Irish Field Directory lists hunts in Ireland and weekly paper covers hunting related activities. The voice of the Irish farming industry. Covers hunting matters extensively during the year. Equestrian magazine with on-line hunting news.